I am one person who loves the occasional meal at a restaurant compared to a self home-cooked meal. The experience of dining in a restaurant just makes me happy (I am easily contented haha!). However, I find it even better if instead of me going out to the restaurant, the food from the restaurant comes to me (finding a parking space, paying parking ticket etc can be a pain at times)! 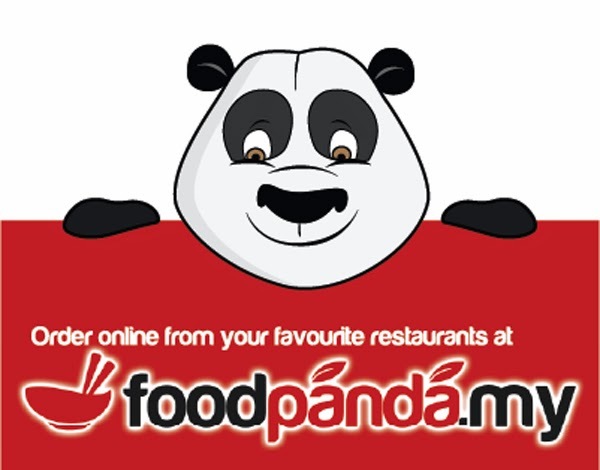 And what better way than to do that with FoodPanda Malaysia! 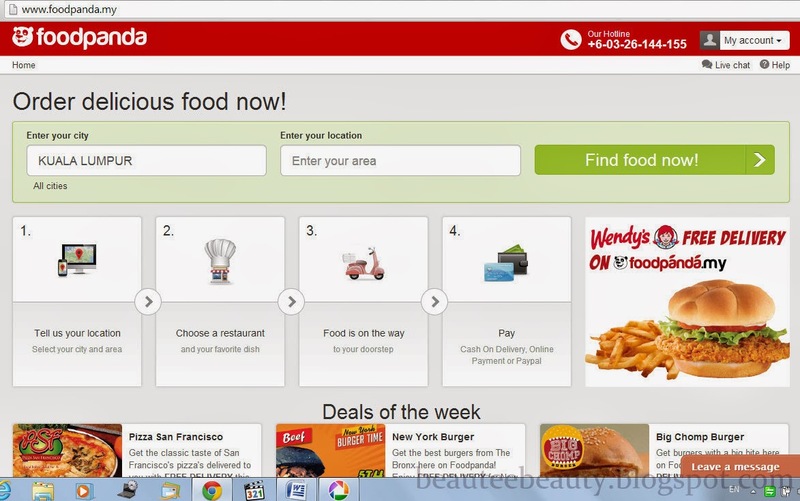 Foodpanda is an online food delivery service which has online menus from a huge selection of delivery restaurants around many parts of the world. 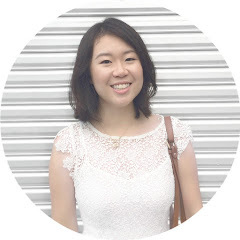 In Malaysia itself, Foodpanda delivers to many different states across the country, although I have to be honest, you're probably most spoilt for choice if you live within the Klang Valley area. That does not mean areas outside the Klang Valley have no choices- I've been randomly clicking around areas and have seen many different restaurants for different locations. EASY! 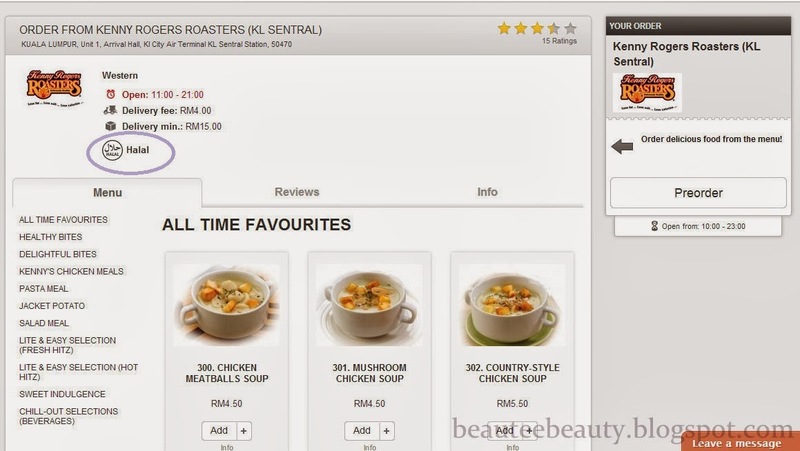 All you have to do is enter your area, your location, and then search for cuisine type, restaurants or even price range. 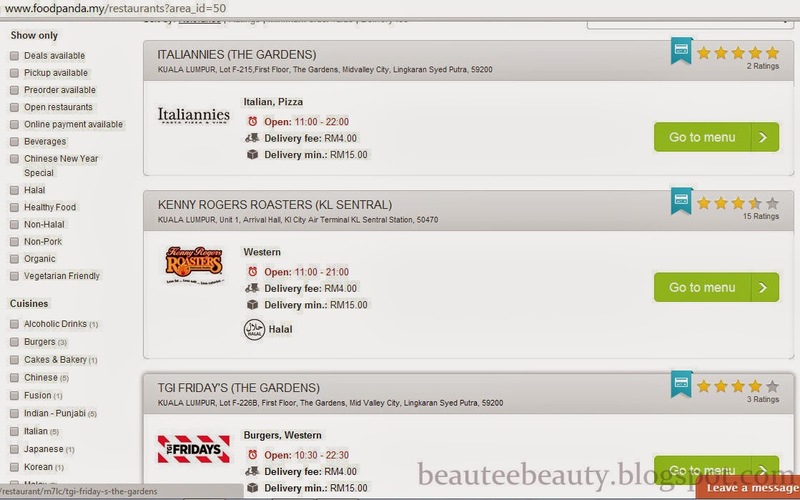 The restaurant index also includes address and delivery hours. 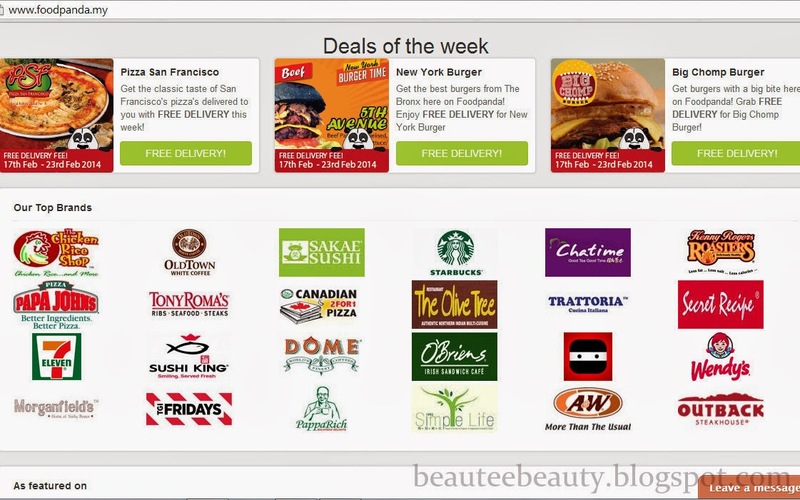 They also have offers like 'Deals of the Week' which offers things like free delivery if you order food from the restaurants listed in the 'Deals of the Week' options. Anyway, look at the amount of choice available- there's just way too many cuisines! Oh, the convenience factor does not stop there! If sitting by a laptop or computer is not really your thing, you can order food via your mobile gadgets as well! If you want to order your food in advance, you can easily do that by clicking the 'Pre-order' button if for example the restaurant is closed and you want to order food for the next day. Honestly, I can't get over how convenient it is! Hee! Anyhow, to the most exciting part now! 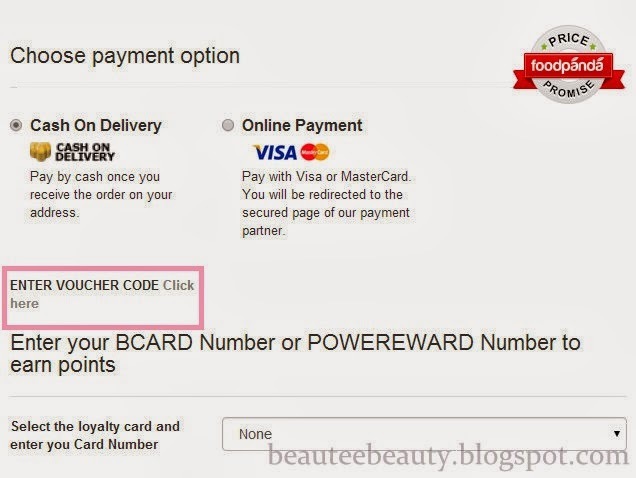 Foodpanda have kindly given me some vouchers to give to my lovely readers to spend on your order on Foodpanda! with no minimum spend and a validity period of 1 year! If you follow me in any of the other ways for extra entries, don't forget to leave me your GFC name/bloglovin' name/Twitter name/Instagram name in the comments section below! Oh, and this giveaway is for readers resident in Malaysia only (apologies to my international readers!). The 10 giveaway winners will be announced on 1st March 2014! So hurry hurry!